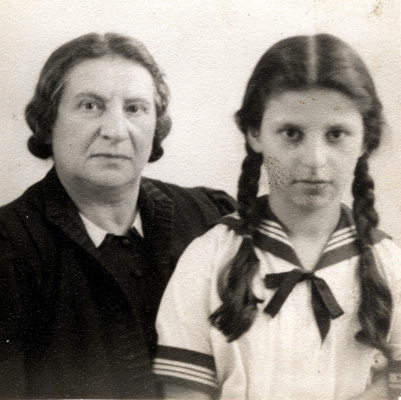 Siegmund's mother, Sylvia Wolfsohn, and his sister, Dorit Wolfsohn Edelson. Sylvia and Dorit went to London separately, Dorit in May 1939 and Sylvia around July 1939. Siegmund went with a kindertransport to Sweden in early March 1939. He left Sweden in mid-August 1939, stopped in London to see his mother and sister and continued on to the United States. He landed in New York City on August 30 or 31, 1939. Dorit later committed suicide.